Maung Tun Khin (Rohingya name: Ziaul Gaffar) is an internationally recognized Rohingya human rights activist based in London, UK. 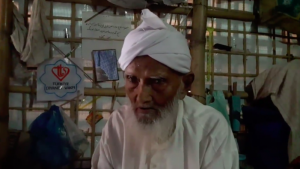 Tun Khin was born into a Rohingya family which fled to Bangladesh during Myanma’s first wave of expulsion in 1978 and subsequently repatriated back to Myanmar. 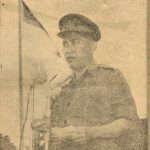 Although his late grandfather Abul Gaffir was a well-known lawyer and parliamentary secretary in the country’s national parliament following Burma’s independence in 1948, Tun Khin has been forced to become a refugee. He has testified on the plight of the Rohingya people before numerous international and national bodies including UN Human Rights Council, European Parliament, UK Parliament, and Canadian Parliament, and has appeared on major international media outlets such as CNN, BBC, Al Jazeera English and Arabic, Voice of America and so on. 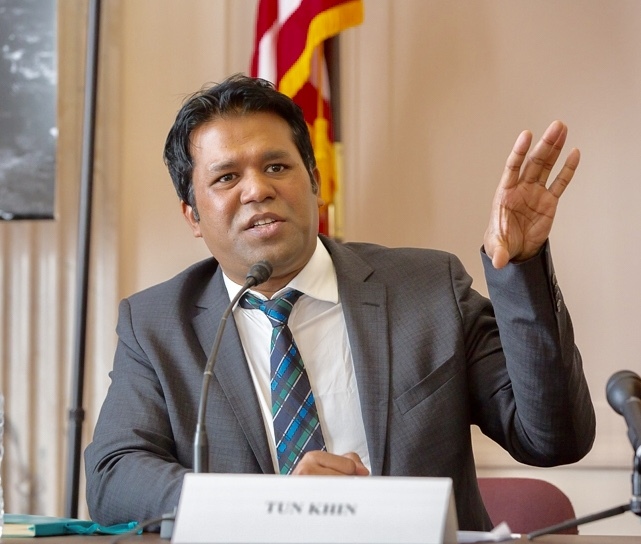 In 2015, Tun Khin’ was awarded Richard C. Holbrooke Leadership Award by Refugees International in Washington, DC. For the last 10 years since Tun Khin arrived in UK from Malaysia where he was university-educated as an engineer, he has been engaged in advocating for the restoration of human rights and citizenship of Rohingyas and working towards ending the country’s genocidal persecution of Rohingyas as a group. Since the organized violence against Rohingyas broke out in June and October 2012, Tun Khin set up and has led the Burmese Rohingya Organization UK (BROUK).